In England, doctors are now prescribing books to patients with mental health issues. 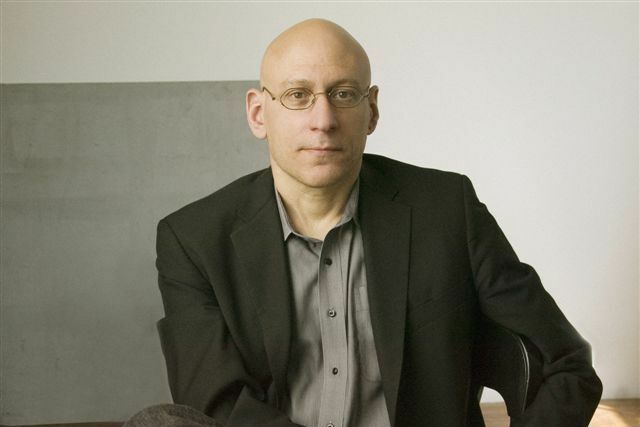 And this week, David Shields put out a book called How Literature Saved My Life. Did books really save his life — and could they save yours? In England, doctors are now prescribing books, as well as pills, to patients with mental health issues. Will the "government-endorsed initiative," reported on last week in the Herald Tribune, make a difference? So could literature save your life? Well, let's look at how it (maybe) saved his. Shields opens his book by nailing down the problem with his life. He connects himself to Ben Lerner, author of Leaving the Atocha Station, and says that “The nature of language itself is a major part of [our own] problem ... [I’m] always first aware not of the naked feeling itself but of the best way to phrase the feeling.” If he wants to save his own life, he has to deal with the divide between experience and its description. And to do so, he has to look at other books and other authors to see how they confronted the same problem. High up on his list of authors to love is David Foster Wallace. He may have amassed an entire self-help library, but Wallace also fought his depression by listening to country music: he “imagin[ed] that the singer of each song was actually singing about him/herself," Shields reports. Wallace was able to see the lyrics as "battle[s] of a self against itself.” Whether by listening to music or by scribbling obsessive footnotes, he wanted to blur the struggles of art with the struggles of real life. Another author rallied to Shields’s cause is Geoff Dyer. His book Out of Sheer Rage, a failed biography of D.H. Lawrence that instead depicts the author’s attempts to avoid the task, illustrates Shields’s realization that the best books “proceed from the assumption that we’ll all be dead in a hundred years ... [so] I’m going to cut to essence.” If Dyer is any indication, the best books follow their authors' idiosyncrasies and move past cookie-cutter descriptions — of D.H. Lawrence or high tea or American suburbia — to, well, the nitty-gritty of real life. And so Renata Adler’s books, especially Speedboat, come close to saving Shields from his anxieties: “she’s doing everything she can to make me hyper-aware of her thought processes.” (He later confesses to having retyped the entirety of Speedboat twice.) Artists like Adler enroot their deepest issues in prose or even stone with honesty; in writing as much as possible, Shields comes to understand, he might paradoxically get closer to "naked feeling." That's why these authors’ words alone couldn't save Shields. He had to do the work himself, and so he comes to the conclusion that “Your art is most alive and dangerous when you use it against yourself.” He doesn’t write just to share or to describe; he writes to rip apart and to save his own life. Which brings us to ... us. The problem with Shields was that he couldn't live his live without trying to describe it; teaching himself how to make those descriptions visceral and direct saved him from this disconnect. So his answer might well be: art may inspire, but our response to it — and our expressions of those responses — is what revitalizes, changes, and saves us.